Apple says they have sold out of launch day inventory of iPhone 7 Plus and the coveted Jet Black iPhone 7. Apple has issued a statement on Friday's launch of the iPhone 7 and iPhone 7 Plus. 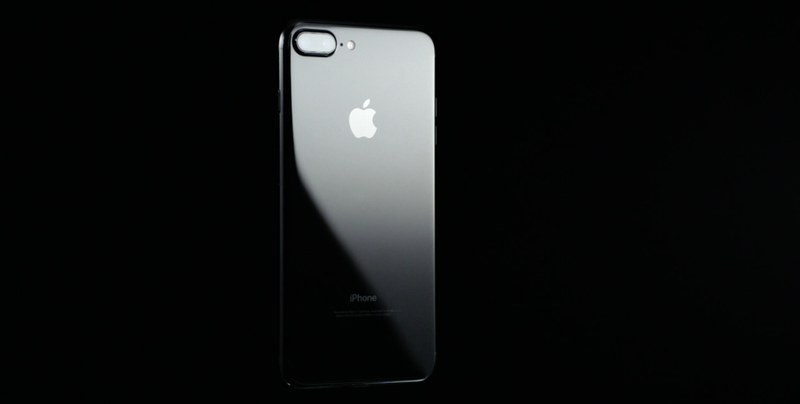 It's bad news for anyone who hasn't preordered their iPhone 7 Plus yet. I have seen this movie before. Apple Inc. launches a breakthrough product design with new manufacturing processes. They end up shipping a fraction of the demand, and ultimately the launch is viewed as a success because they are "sold out,"
Apple is most likely seeing shortages due to some advancements in the iPhone 7 Plus' underlying tech. The dual lens camera is an obvious culprit for the anemic launch supply of iPhone 7 Plus as reports of Sony struggling with satisfying Apple's camera sensor demand lead to the company tapping LG for additional sensors. I will have to wait until October for my Jet Black iPhone to ship. 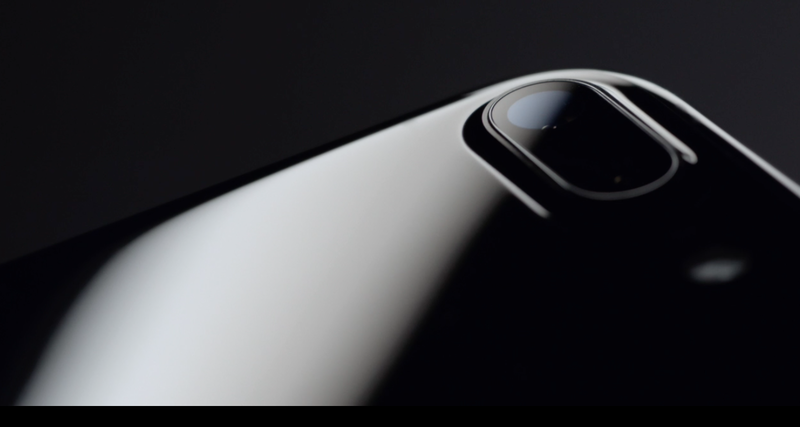 The most likely cause of the Jet Black iPhone 7 shortage is the new precision nine-step anodization and polishing process. The Jet Black iPhone 7 and iPhone 7 Plus are obviously in high demand and take the longest for Apple to produce. This has created estimated shipping dates all the way out into November for customers who want the new shiny color option. 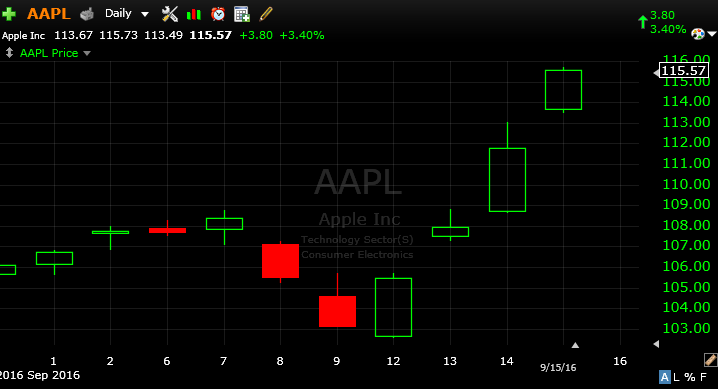 Share of Apple Inc. have skyrocketed up 12% this week! Apple's stock has benefited from some reports that T Mobile and Sprint have received record numbers of preorders for the iPhone 7 and iPhone 7 Plus. Wall Street was expecting a dud from Apple, but it appears that institutional investors are stumbling over themselves to get back into the stock. 112 million shares of Apple traded on Wednesday and another 90 million were traded on Thursday. It appears that most of the revenue from the iPhone 7 launch will be pushed to next quarter, which may just be exactly what Apple wants. 2016 has seen Apple experience its first decline in sales year over year in 13 years. Recognizing these launch sales next quarter will help goose the Q1 2017 (October to December 2016) results. Many on the street are skeptical if Apple will ever be able to regain its growth trajectory as the iPhone turns 10 years old next year, but these shortages of iPhone 7 at launch may just conveniently provide some better optics going forward. The stock has screamed 12% higher this week and is now valued at more the $600 billion again. This launch weekend may disappoint some investors looking to make a quick buck because there will be a lot of customers that are still waiting for their phones to arrive. What is encouraging for Apple fans and investors is that the company seems to be back on track with iOS 10 and their new lineup of smartphones. Hopefully they can carry this momentum forward into the end of the year with a much expected refresh of the MacBook Pro and iPad lines.